Today RNZ Morning Report broadcast an interview by Amelia Langford with PSA National Secretary Richard Wagstaff. Susie Fergusson introduces the interview stating that Bill English told the House this week that the “average wage” has increased by approximately $3,000 over the last two years. It is now about $55,000. English also continues the mislead, by predicting continuing future rises. “In the last four years, private sector wages have increased 38% faster than public service pay, meaning the pay gap is widening further. “To deliver quality public services, New Zealand needs to attract the best people to our public service, and pay is a significant factor in this. Earlier in the year, Bill English had made it clear that people working for the state couldn’t expect the same pay rises as in the private sector. Wagstaff queries whether the average wage is being pushed up because the rich are getting richer? This average wage, is different from the median wage. The average is calculated by the total of all people’s wages being divided by the number of wage earners. the median wage is the midpoint – the point which separates the top and bottom 50% of wage earners. Wagstaff thinks we are seeing the rich get richer, and the poor get poorer, with a lot of people in the state sector on low wages and wages that “aren’t moving”. Wagstaff is concerned that Engish is not representing people’s experiences, while also raising their expectations about getting wage rises in the future. This creates the conditions for future industrial disputes. [State Services Commissioner] Mr Rennie’s pay increased $50,000, to $620,000, in the year ended June 2014, while Mr Sutton’s increased $30,000 to nearly $600,000. Sutton has recently resigned from being the boss of the Canterbury Earthquake Recovery Authority. It revealed the highest-paid public servant was New Zealand Superannuation Fund chief executive Adrian Orr, who earned more than $800,000 a year – boosted by a $130,000 pay rise. The inequality gap is not best measured by average ages. It is more telling to look at the top and bottom 10% of incomes. Someone in the top 10% used to earn five times as much as someone in the bottom 10%; now they earn eight times as much. 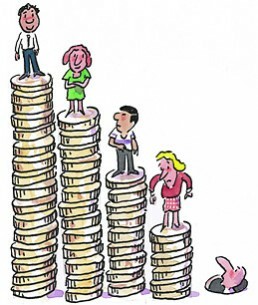 It is also important to understand that income inequalities contribute to wealth inequalities. The latter are much harder to reverse than income inequalities. Wealth – meaning accumulated assets, rather than just annual income – is even more unevenly distributed. The top 1 per cent of adults own three times as much of the country’s wealth as the entire lower half put together. The CTU shows the inequalities’ gap in a telling graph on a pdf file. 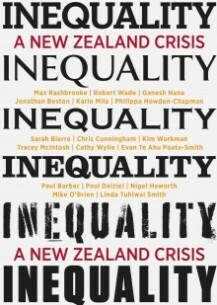 Neville Bennett on Interest.co.nz, gives some more telling details of income and wealth inequalities in NZ. Hardship is defined by a specific set of deprivations, in which the household is forced to forego goods that are considered required for a basic or minimal acceptable lifestyle. Bennettt also identifies inadequate housing, and resulting ill health as a consequence of living in hardship. It also results in, “missed educational opportunities, and depression”, loss of skills, a rise in anxiety, and stress, and has an impact on crime. In short, inequalities are bad for society as a whole. These are the appalling facts that John Key and Bill English are trying to hide with their misleading rhetoric about “average wage rises”. The Tories in Aotearoa New Zealand are all about competition, individual responsibility and wealth accumulation – at any cost. This includes exploiting those in lower socioeconomic positions with the assistant of Tory public policy and legislative change. Nobody in their right (no pun intended) mind would argue against individual responsibility however the means and extent of this value are variable. There is substantial evidence that inequality leads to negative outcomes for all of society – not just the poor, however it is the poor who are disproportionately negatively impacted by this inequality. Of course Tories will try and pevert the discussion by arguing that we do not have absolute poverty in NZ rather relative. While this is true to some degree (I would suggest that there are a few in this country who have actually migrated from relative to absolute poverty) there is also substantive evidence that relative poverty is also negative for a range of outcomes. 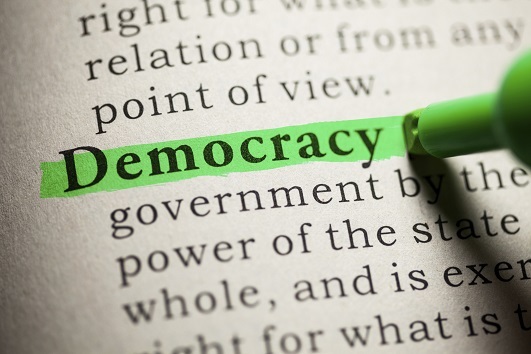 Wealth accumulation is currently virtually unfettered in NZ – no speculation or capital gains tax – therefore this aspect is also very effective for the Tories. How is it reasonable that direct income is taxed yet passive income is exempt from contributing to the tax pie? This is clearly another unfair advantage for the wealthy in this country who have had too much for far too long. have just finished reading about OBR .. open bank resolution (?). no bail outs fir banks next time just haircutting depositers to pay the secured creditors. this competition malarchy isnt consistent for some there is almost no risk. The Tories in Aotearoa New Zealand are all about competition, individual responsibility and wealth accumulation – at any cost. Not really. They’re all for those things happening to the majority of people but they’ll do all sorts to prevent them happening to the rich. Competition for work keeps the poor in their assigned place and allows the rich to continue to profit from their work. if they ditch the misleading rhetoric wont they only be left with the truth? It would be good to find someone on the average wage and someone on the median wage and compare there living standards. hopefully this would stop the ave wage being used as the standard measure. I dont know about everyone else, but im sick to death of hearing how the top 10%pay 90% of all taxes. Its because they earn a huge amount, they dont work 8 times as many hours as everyone else. Sure, it’s true that the top 10% pay 90% of all taxes. They own 70% of the wealth. As well let’s not forget that they don’t produce the wealth that generates their stratospheric salaries on their own. There’s usually an army of the low paid doing the actual work. is it true? link please. Speaking of things that make me sick, I am sick of hearing people claim that the bottom earners pay no tax, they pay a lot of tax with gst on everything and extra tax on petrol for just two examples. In fact the percentage of tax that low earners pay like this as a portion of their earnings is quite high, I just wish that the next time someone claims that the poor pay no tax the media actually question how true this is.As far as the rich paying all the tax, the truth is that the portion of their earnings that are paid in tax is generally way less than the poorer members of the country. National again quoting misleading statistics to try and prove what they are doing is good for us all. Unfortunately I don’t think he is technically misleading the house by quoting that there will be a future rise in the average wage. It will rise again but not due to those on the lowest rungs getting a lift up, but because those at the top will fatten their wage packets even more making that average wage level rise. If you took at the low wage earners and high wage earners statics separately you would see a very different picture. While the high wage earners average wage keeps going up year after year the average wage for the low income worker would tell a completely different story. The only reason it would not have a huge dip is due to all the people who had their wages drop to 0 so would no longer be included on the wage earners list as they are now unemployed and so no longer part of those statistics. Then there are all the people who have more than one job that also slants the statistics as those multiple jobs are just counted as one wage for that person when calculating the statistics. According to this table at Stats NZ, the average is rising faster than the median – from a quick look at the figures, average income from wages/salaries has risen by around 18-19% since 2009, while the median’s only risen 12-13%. That means pay increases have mostly been happening to the top incomes under Bill English’s ministry. I doubt readers of the Standard will be surprised to hear this. Thanks, PM. Of course, as you say, I’m not surprised by that. Those stats also don’t reflect the figures for people who are unemployed or underemployed – on zero hour contracts?, etc. Pyscho Milt’s link above raises some questions for me. Those figures say that total taxable income rose 8.4% in 2014 and 7% in 2013. That should lead to a corresponding increase in Crown tax revenue from wages & salaries, the marginal tax rate goes up when wages increase so the increase in the tax take should be slightly higher than 7% & 8.4%. Does anyone have the data on tax revenue from wages & salaries? 8.4% is a pretty hefty increase in revenue and I don’t recall the Govt accounts showing that sort of income. If the crown tax revenue has not gone up it is most likely due to the fact all those high earners who got all those wage increases know the loopholes to help them avoid the extra taxes. Maybe not on this one. This is about wages & salaries and tax for that is deducted at source via PAYE so changes in that tax revenue should follow changes in wages. The spreadsheet is a little hard to follow but does show source deductions and refunds in separate rows so it should be possible to eliminate refunds from the totals. One problem is the source deductions row also includes the likes of welfare benefits so it’s not just wage & salaries.